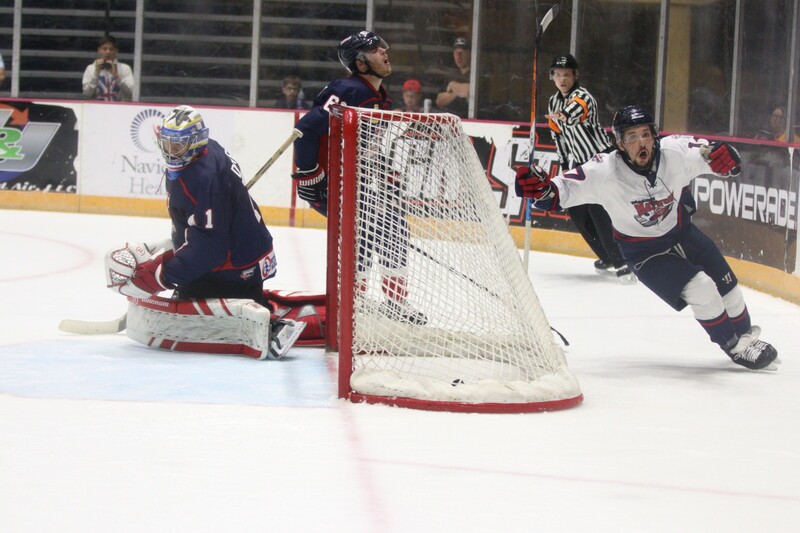 MACON, GA- Following the Macon Mayhem’s dominating 8-0 win over the Evansville Thunderbolts on Sunday, they have advanced to the President’s Cup Semi-Finals for the second consecutive year, and they will take on the Huntsville Havoc in the second round series. Tickets for Wednesday’s game one at the Huntsville IcePlex go on sale Monday at 12:00 PM CDT and are $10. With limited seating at the Huntsville IcePlex, there are only 500 tickets available for the game on Wednesday night. To purchase tickets, call the Huntsville IcePlex at (256) 883-3774. Tickets for Thursday’s game two at the Macon Coliseum go on sale on Monday at 10:00 AM EDT through the Macon Mayhem Front Office or the Macon Coliseum Box Office. Tickets are available for $10 for season ticket holders and $12 for non-season ticket holders. Glass seating is available at a limited quantity for $15 for season ticket holders and $22 for non-season ticket holders. The two-seed Mayhem and the four-seed Havoc matched up five times during the regular season, and the Mayhem went 2-3-0 in the series, while Huntsville had a record of 3-1-1 in the five games. Both teams are high-scoring squads, as they both ranked in the top half of the league in goals for per game. The Mayhem ranked first at 3.82 goals per game during the regular season, while Huntsville ranked fourth with 3.63 goals per game. Another reason why both teams are among the final four teams in the President’s Cup Playoffs is goal prevention. Macon ranked third in goals against per game at 3.11, and Huntsville ranked fourth in the regular season, allowing 3.21 goals per game. For ticket information for the President’s Cup Semi-Finals against Huntsville, visit MaconMayhem.com or call the Mayhem Front Office at (478) 803-1592.